Would you believe it? 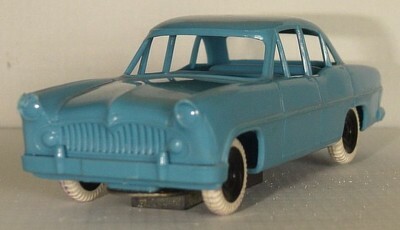 This is a conversion of the rare Airfix Vauxhall Victor Estate, into the saloon version. The car was bought in a job lot of several similar conversions. And just to be perverse, here is a Zodiac estate, converted from the Airfix saloon. 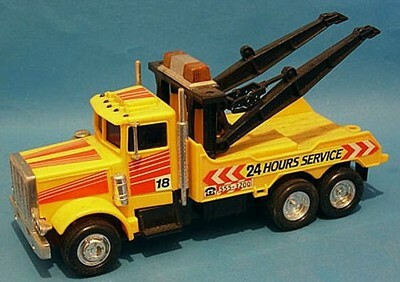 I don't know who made the models, but the workmanship is good, considering the tools available at the time. Just to explain, back in the 50s, Simca bought the Ford France factory including recent designs, during that period, they produced some obviously US influenced cars. They were all named after famous castle and palaces, hence the corny names. Simca Trianon by Cle, this is actually quite a good model. 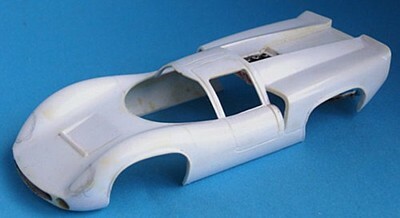 Tamyia Lola T70, made originally as a series of early slot cars, together with the Lotus 30 and Ferari 246, the plastic model version of which can be found on Ebay regularly. Aurora 1960 Ford Thunderbird build kit. 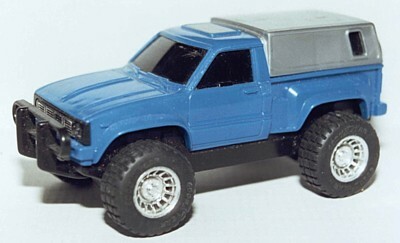 I think this is a Toyota 4x4 pick up, again Hong kong made. Citroen "Traction Avant" by Cle of France, the Traction is a motoring icon in France, a version of it is available form Traffic model. 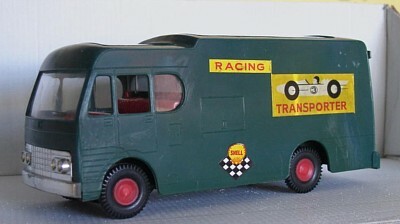 Racing car transporter by Jimson of Hong Kong, based on the Matchbox toy, I am not sure it represents an real vehicle.